Recently the Himalayan wolf was identified as a sub species of Canis Lupus(Grey Wolf) by using DNA testing. The Himalayan wolf is now considered to be possibly the oldest living lineage existing of all wolf species today. Sharing habitat with both the Indian wolf and the Eurasian wolf in the Himalayan region, the Himalayas is also the only place in the world where these three species of wolf exist simultaneously. This is also supporting the theory that the India region is most likely the home of modern wolf evolution. Even though these three species of wolf share habitat, inter species clashes are non existent. 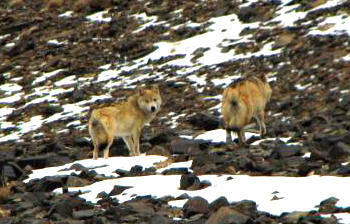 The Himalayan wolf keeps mainly to small sections of Mongolia, China, Kashmir and India. There are only about 350 of these wolves left but only in India are they protected under the Indian Wildlife Protection Act. A captive breeding program is underway in India to try and save the Himalayan wolf from extinction but sadly it is still very vulnerable due to farmers and ranchers killing and trapping them. Studies show that this wolf species is possibly eight hundred thousand to one million years old. Population location: U.S.A.: All of AL, AR, CA, CO, CT, DE, FL, GA, KS, KY, LA, MA, MD, ME, MO, MS, NC, NE, NH, NJ, NV, NY, OK, PA, RI, SC, TN, VA, VT and WV; those portions of AZ, NM, and TX not included in an experimental population as set forth below; and portions of IA, IN, IL, ND, OH, OR, SD, UT, and WA as follows: (1) Southern IA, (that portion south of the centerline of Highway 80); (2) Most of IN (that portion south of the centerline of Highway 80); (3) Most of IL (that portion south of the centerline of Highway 80); (4) Western ND (that portion south and west of the Missouri River upstream to Lake Sakakawea and west of the centerline of Highway 83 from Lake Sakakawea to the Canadian border); (5) Most of OH (that portion south of the centerline of Highway 80 and east of the Maumee River at Toledo); (6) Western OR (that portion of OR west of the centerline of Highway 395 and Highway 78 north of Burns Junction and that portion of OR west of the centerline of Highway 95 south of Burns Junction); (7) Western SD (that portion south and west of the Missouri River); (8) Most of Utah (that portion of UT south and west of the centerline of Highway 84 and that portion of UT south of Highway 80 from Echo to the UT / WY Stateline); and (9) Western WA (that portion of WA west of the centerline of Highway 97 and Highway 17 north of Mesa and that portion of WA west of the centerline of Highway 395 south of Mesa). Mexico. Population location: Western Great Lakes Distinct Population Segment; Minnesota, Wisconsin, and Michigan; the eastern half of North Dakota and South Dakota; the northern half of Iowa; the northern portions of Illinois and Indiana; and the northwestern portion of Ohio. Endangered 03/11/1967 Mountain-Prairie Region (Region 6) U.S.A.: All of AL, AR, CA, CO, CT, DE, FL, GA, KS, KY, LA, MA, MD, ME, MO, MS, NC, NE, NH, NJ, NV, NY, OK, PA, RI, SC, TN, VA, VT and WV; those portions of AZ, NM, and TX not included in an experimental population; and portions of IA, IN, IL, ND, OH, OR, SD, UT, and WA. Mexico. Wolves are habitat generalists and lived thorughout the northern hemisphere. They only require ungulate prey and human-casued mortality rates that are not excessive. Ungulates [wild and domestic] are the typical prey of wolves, but wolves also readily scavenge. Beaver are among the smallest important prey but wolves can utilize smaller mamals, birds, and fish. Wolves packs defend their territories from other wolves. Territory size is a function of prey density and can range from 25-1,500 square miles. Both male and female wolves disperse at equal rates and equal distances, sometimes >600 miles. Normally first breed as yearings and once a year in February. One to 10 pups [normally ~5] are born 63 days later. Pups normally stay with pack until > 1 yrear old. NatureServe Explorer Species Reports — NatureServe Explorer is a source for authoritative conservation information on more than 50,000 plants, animals and ecological communtities of the U.S and Canada. NatureServe Explorer provides in-depth information on rare and endangered species, but includes common plants and animals too. NatureServe Explorer is a product of NatureServe in collaboration with the Natural Heritage Network. ITIS Reports — ITIS (the Integrated Taxonomic Information System) is a source for authoritative taxonomic information on plants, animals, fungi, and microbes of North America and the world. Four decades of work by the U.S. Fish and Wildlife Service and its partners to protect and recover the gray wolf (Canis lupus) have successfully brought the species back from the brink of extinction in the western Great Lakes and Northern Rocky Mountains. As a result of these successful efforts to ensure that the gray wolf is no longer threatened with extinction as a species, the U.S. 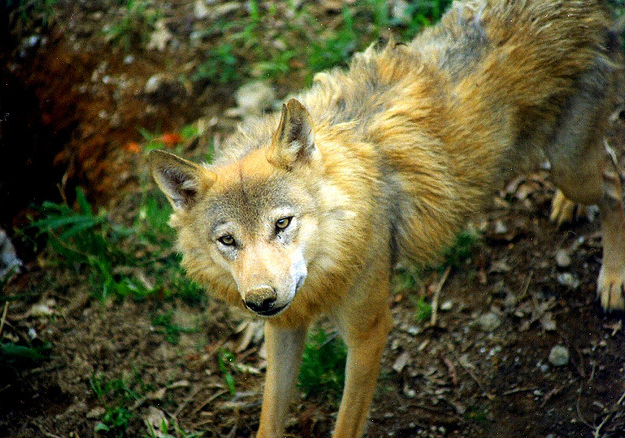 Fish and Wildlife Service has proposed to remove it from the list of threatened and endangered species throughout the United States and Mexico, while maintaining protection for the Mexican wolf (Canis lupus baileyi) in the Southwest. The Service will continue federal protection and expand recovery efforts for the Mexican wolf in the Southwest by proposing to designate the Mexican wolf as an endangered subspecies under the Endangered Species Act and to modify existing regulations governing the nonessential experimental population. Outside of that recovery area, management and protection of wolves would be returned to state wildlife management agency professionals, following approved wolf management plans in states where wolves occur or are likely to occur in the future. NOTE: The two proposed rules published in the Federal Register on June 13, 2013. The Fish and Wildlife Service welcomes public comment, which will be accepted for 90 days from the date of publication through 11:59 p.m. on September 11, 2013. Guidance on how to provide comment is provided here. Please visit www.regulations.gov to view all Federal Register notices, and to submit an electronic comment.